Passover is an important holiday. The dietary restrictions have an impact on our bodies and energy levels. Good to know: We are instructed to eat matzah only at the Pesach seders themselves. During the rest of the holiday, eating matzah is optional. For many of us (myself included), a little matzah is ok for our bodies but too much is not. Too much matzo causes constipation and belly aches. 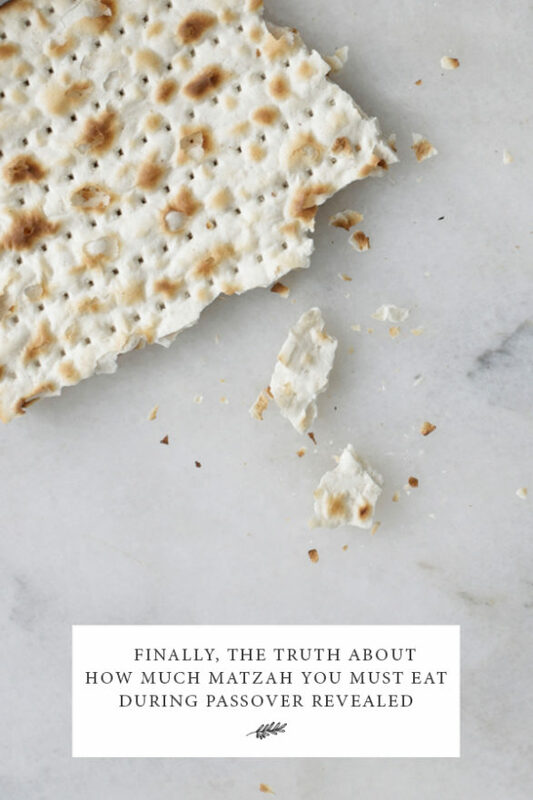 Instead of focusing on matzah as the main starch during the Passover seder or during the Passover week, it can be viewed as a condiment and eaten sparingly. Our digestive health depends largely on fiber and water. The reality is that there are better foods for our guts than matzah. Fill your plate and your Passover diet predominantly with plant foods (fruits, vegetables, starchy vegetables, roots/tubers, intact whole grains, and (for those who eat them) legumes such as beans, peas and lentils). Here are 17 Delicious Plant-Based Recipes Your Eyes, Mouth and Gut Will Love This Passover. Many people are still scared that starches will make them gain weight and so they avoid them or eat only a little. Healthy starches and starches are so necessary for energy. Rice (if you eat Kitniyot like I do) quinoa, potato, sweet potatoes, squash and pumpkin can be your main focus during Passover. All these starches are satiating, low in fat and filled with fiber. Due to the Passover food restrictions, many people resort to eating more dairy and meat during the holiday. For a healthier and lighter Passover experience we can eat more healthy plant-foods and healthy starches and tubers. Doing this will allow us to eat less or eliminate meat and dairy during Passover. During Passover when we are eating differently, water is essential to keep us feeling hydrated and energized. During the holiday, remember to drink plenty of water and herbal teas. Beyond the Passover Seder matzah, each of us should eat the amount of matzah that allows us to feel well in our bodies. Your turn: Tell us in the comments, how much matzah do you eat during Passover?